WASHINGTON -- Days after House Republicans overhauled much of their leadership team, House Speaker John Boehner said Tuesday that he's "all in" to remain as speaker in the new Congress that will meet next year. The Ohio Republican's remarks came after months of questions about whether he would continue holding the House's No. 1 job after the current Congress ends in January 2015. Boehner has been speaker since 2011. For much of that time, he's managed a fractious Republican majority that includes conservatives who at times have rebelled against his leadership, including a handful who refused to vote for him when the House re-elected him as speaker in January 2013. Additional questions about his tenure have arisen as House Republicans overhauled much of their leadership team last week following the primary election defeat of Virginia GOP Rep. Eric Cantor, the majority leader. Asked by a reporter Tuesday whether he will remain as speaker, Boehner said, "I told my colleagues two weeks ago I was all in. And when I'm all in, I'm all in." 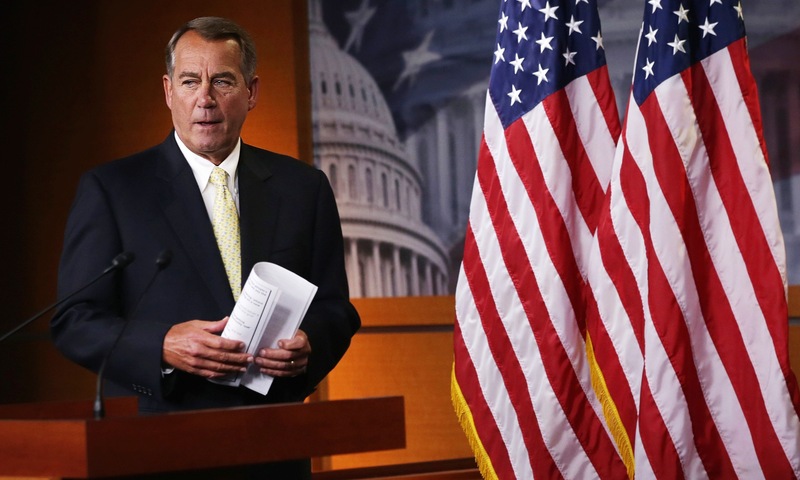 Even so, Boehner's return to the job is not guaranteed. With several conservatives saying they want the House GOP to take a more rightward turn, some lawmakers said last week that they would not rule out a challenge to Boehner when the House elects its new leaders for the next Congress.